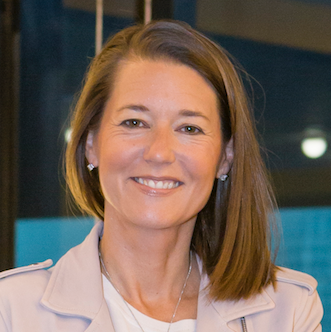 Mary Ellen Coe is the president of Google Customer Solutions. Here she explains why more businesses, even beyond e-commerce, should look to mobile site speed as a growth driver. I meet with hundreds of business owners and executives a year, from Merz Apothecary, a local pharmacy in Chicago to major international brands. And what they all have in common is that they want to grow. While there are as many growth strategies as there are types of businesses, there’s one area where nearly every business has room to improve: the mobile web. The mobile web remains the most widely used platform in a world where people have more ways than ever before to search, browse, and shop. But it’s no longer enough to have just a mobile presence. Business growth requires the speedy mobile experience that people expect and demand today. Source: SOASTA,The State of Online Retail Performance, U.S., April 2017. This presents any business that has a mobile presence with a simple choice: either provide customers the kind of mobile experience they expect, or be prepared to watch those customers go elsewhere — and fast. If a slow mobile experience drives customers away, a fast mobile experience can help attract and keep them. But far too often, I see businesses underinvest in the kind of fast mobile experience that can unlock revenue and brand loyalty. It’s not that businesses don’t understand that a fast mobile experience matters, but it’s easy to treat it as a one-and-done goal to accomplish. The reality is that no matter how fast your site is today, if it’s not an ongoing priority, over time that speed will degrade. The ranks of successful brands include a wide range of companies that have benefitted from making fast mobile experience a priority. Outdoor clothing company Dakine was using large images and slideshows on its German mobile site to show the active, outdoorsy lifestyle its customers love. But when a mobile site speed audit showed that slow-loading pages were affecting the quality of its customer experience, Dakine moved quickly. Through a combination of browser caching, image optimization, and prioritizing content on the visible part of its mobile pages, Dakine cut the load time of its start page by 55%, of category pages by 48%, and of product pages by 65%. The impact on performance? Over the next year, Dakine saw mobile traffic increase by 31%, mobile revenue by 45%, and tablet sales by 4%. Mobile site speed also helped unlock growth for Telefónica, one of the world’s largest private telecom companies. More than 70% of web traffic comes from mobile devices, so when Telefónica wanted to increase sales, reduce transformation costs, and increase self-management, the team decided to conduct a trial of Accelerated Mobile Pages (AMP), an open source standard that can enable near-instant load times on mobile web pages. With AMP, Telefónica improved load times for its mobile site by 70% — from six seconds to only two seconds in 3G connections. These improvements helped the company increase click-through rate by 31%. Even if you’re not in the e-commerce business, mobile speed can still affect your bottom line. BMW proved this when it revamped its mobile site in an effort to invoke the same feelings of speed, performance, and reliability as its cars. BMW supercharged its website using AMP and Progressive Web Apps (PWA) — state-of-the-art technology for reliable, smooth, and secure web experiences that responds quickly to user interactions, even under poor network conditions. And what happened next? The proportion of people clicking from BMW.com to a BMW sales site soared from 8% to 30%, nearly 4X higher than before. Choosing where and how to invest is one of the most important decisions a business can make, and at Google, we want to make it easy for businesses to invest wisely in mobile speed improvements. That’s why we’re rolling out a new Test My Site tool to help businesses understand, measure, and benchmark their mobile site speed. With these tools, businesses of any size and type can set the stage for growth by better understanding how to deliver the fast mobile experiences that today’s consumers demand. Measure, benchmark, and improve your mobile site speed with Test My Site. 1 Google/Civic Science 2018, U.S., n=1,131, A18+ smartphone owners, Nov. 2018. 2 SOASTA,The State of Online Retail Performance, U.S., April 2017.